Located in downtown Salt Lake City, George serves updated American classics using local and sustainable ingredients in a modern, elegant space. Just one block from the convention center in downtown SLC, with plenty of nearby street and lot parking, George can accommodate parties up to 202 people. 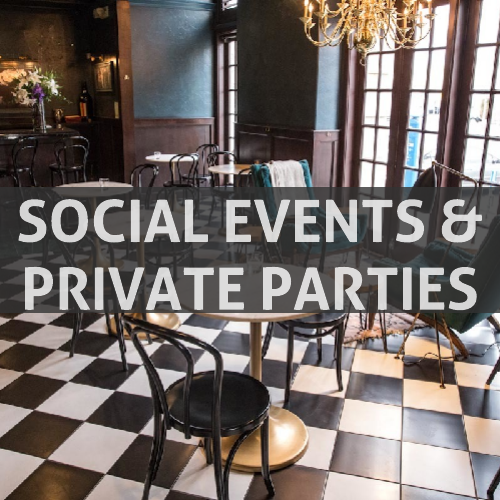 George has five distinct areas, including three private spaces can be used separately or together to accommodate groups for dinner, brunch, lunch, or cocktails. We work with you to create the right menu for your event and within your budget. We are happy to accommodate various dietary needs or allergies, and have a wide selection of naturally gluten-free and vegetarian items on the menu. For more information, contact us at 801-487-0699 or submit a request (below) for more information and we will contact you. I wanted to tell you and your team thank you for a wonderful dinner while we were in Salt Lake City. When we first spoke I was a little skeptical about taking your advice but as you said you know your field best. I got so many compliments on how tasty the food was as well as how wonderful the service was. You all did a great job with cooking, serving and the presentation of the food was beautiful. I will be sure to recommend Finca’s to my colleagues in Salt Lake City. Our party Thursday night was just about perfect. I had an email message the next day from my daughter who said: “I think that was our best party ever.” You were all wonderful to work with. The room was just right, the food was delicious and came out at the right time. Our guests had a wonderful time.